The vehicle comes with advanced modern features like auto parking and Terrain Management System. U.S. automotive giant, Ford Motors Co. has recently unveiled its new, redesigned Explorer SUV at the Ford Field Stadium in Downtown Detroit. According to Livemint, the new Explorer, to be launched in summer 2019, will be a rear-wheel-drive vehicle, with a much leaner and athletic look. Weighing 200 pounds less than the current 4,460-pound model, the Explorer will offer improved gas mileage and be available in the hybrid version as well. As per a statement, Ford said that shoppers can opt for a base model Explorer for around $30,000 or choose a top-class Ford Explorer Platinum, a luxury SUV with a price tag of around $60,000. Ford says that prices for the new Explorer will be only about $400 higher than the older version. 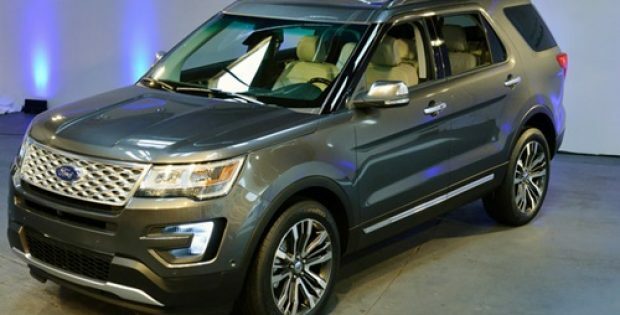 According to Cristina Aquino, Marketing Manager, Large Utility, Ford, the Explorer has been a huge success for the company. While developing the new Explorer, Ford focused on maintaining the vehicle’s earlier experience, however the company did add some advanced modern features to the new Explorer, she said. Ford claims that the SUV will perform better off-road than the current model as its front wheels are closer to the front bumper, which efficiently improves climbing ability. The new Explorer is also an inch higher off the ground, it added. Reliable sources claim that the vehicle’s ‘Terrain Management System’, which can be controlled using a knob placed on the center console, has up to seven different modes including deep sand and snow, sport, slippery and an eco-mode for fuel-efficient driving. Moreover, a 10-inch touchscreen would be made available as an option while a more typical 8-inch screen mounted sideways will be offered as standard. Furthermore, the Explorer will come with a new active parking system, like the ones in Tesla models and some other luxury cars, which lets the vehicle park by itself, cite sources.